Why hasn’t there been greater public outrage concerning medical errors within the United States? Most likely it is because each preventable adverse event (PAE) happens silently, one at a time, and is not revealed to the public. 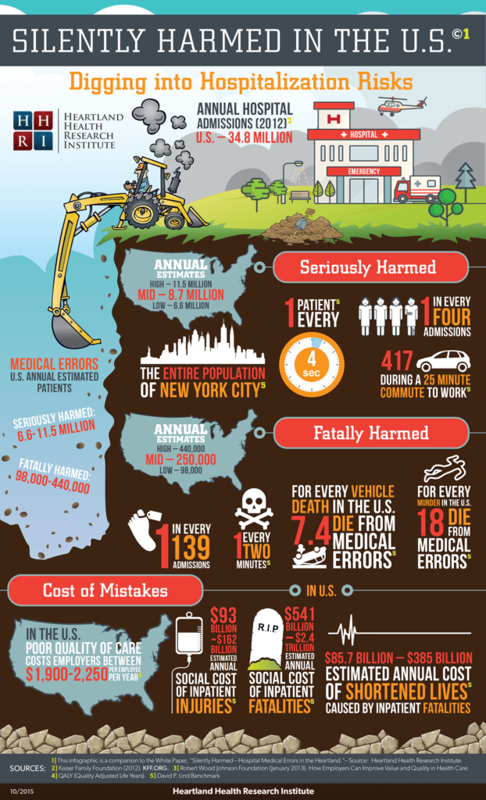 The title of this infographic reflects the silent harm hospital patient’s encounter due to medical mistakes – patients who are seriously harmed and those who are fatally harmed. 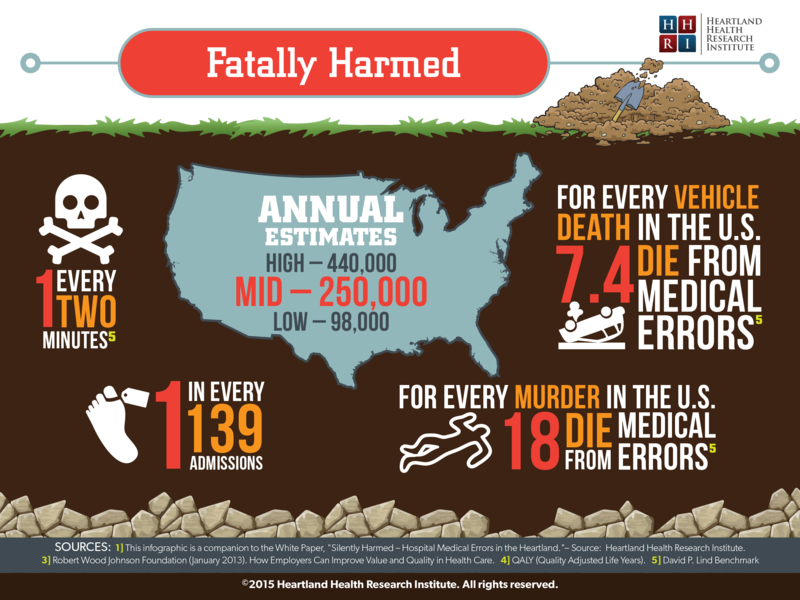 Digging below the surface to find the true numbers of harmed patients becomes virtually impossible, as evidence clearly suggests that medical errors are either not reported or severely underreported in the United States. 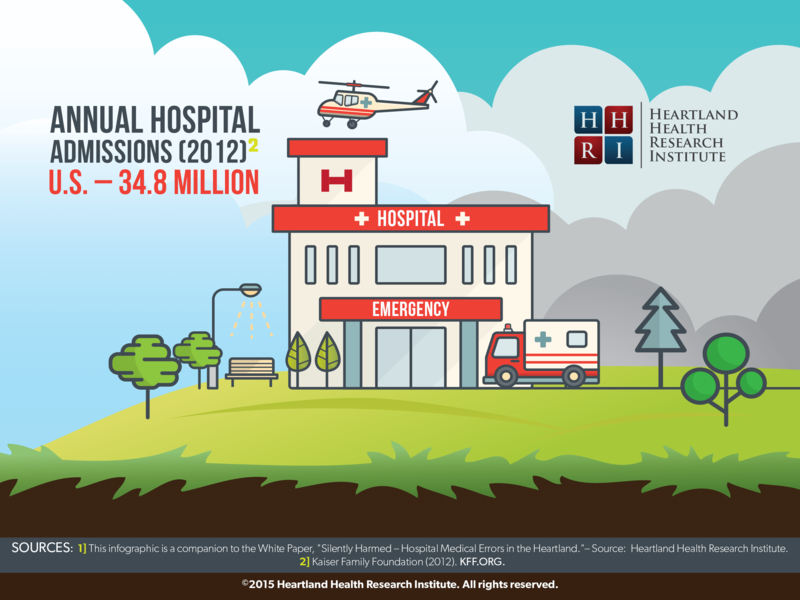 Our Hospitals: Above ground, our hospitals can be seen by the general public fulfilling their role as providing valuable medical care to patients who seek this critical service. 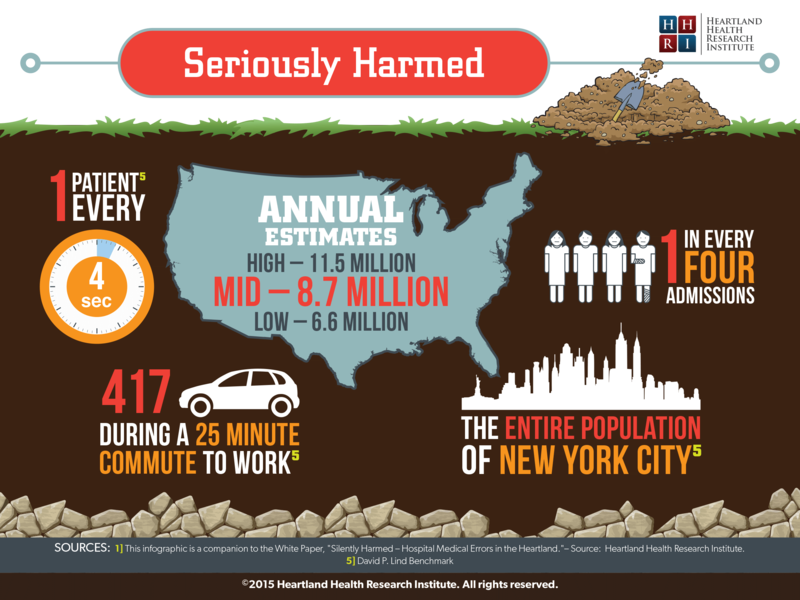 In 2012, there were 34.8 million hospital admissions in the U.S.
Look Beneath: Digging below the surface, national data suggests that millions of patients are seriously harmed due to medical errors, while hundreds of thousands are fatally harmed. Seriously Harmed: This slide provides some overall estimated calculations of the low, mid and high range numbers of patients harmed within our hospitals each year. Using the mid-range estimate of 8.7 million patients harmed annually, this slide provides four icons relating to this massive number. Fatally Harmed: Four icons briefly relate the significance of the mid-range estimate of 250,000 patients fatally harmed annually in our hospitals due to medical errors. 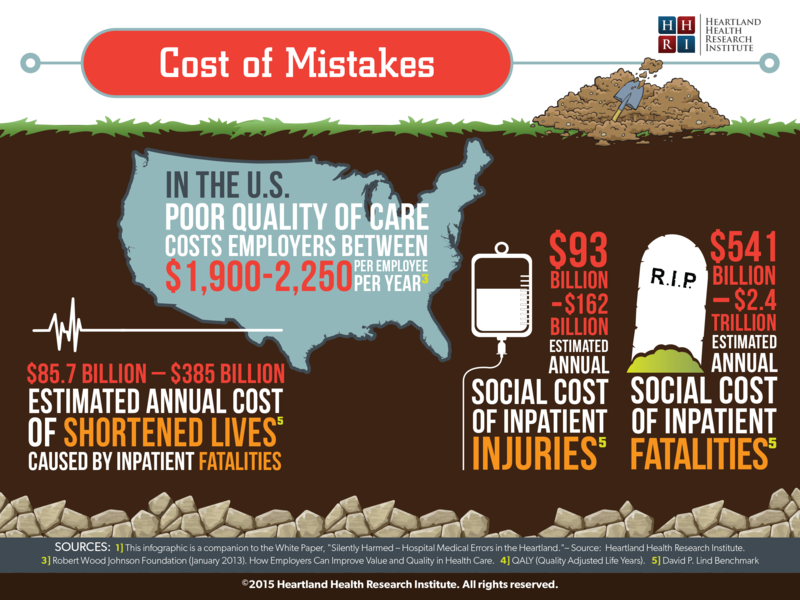 Cost of Mistakes: In addition to human lives that are tragically lost or harmed, there is a massive hidden social cost that continues to be paid year after year. 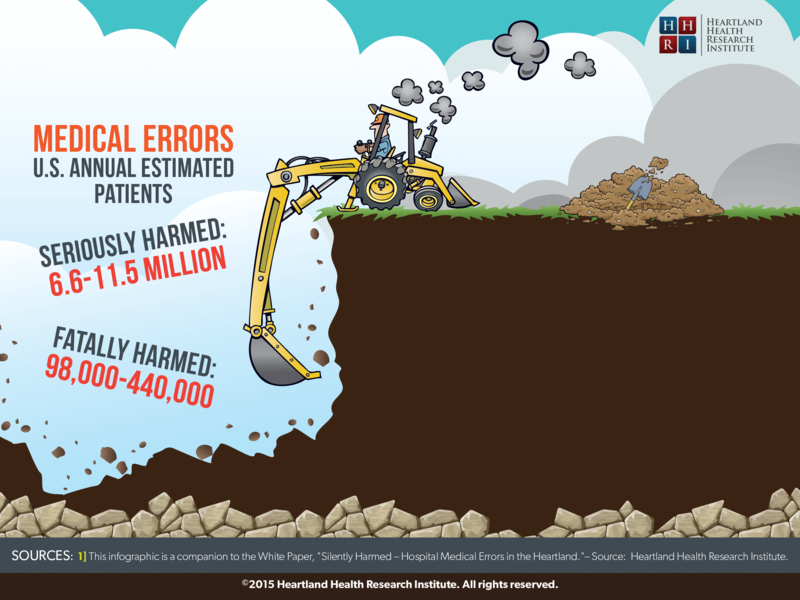 Download a FREE Medical Error Study!